BROYT D1000T Excavator Undercarriage delivers outstanding performance in any excavator application. ..
BROYT D1000W/M Excavator Undercarriage excels in all applications and all conditions: standard or he..
BROYT D800T Excavator Undercarriage must be extremely durable and it is very important to keep the u..
BROYT X21 Excavator Undercarriage excels in all applications and all conditions: standard or heavy-d..
BROYT X42MF Excavator Undercarriage must be extremely durable and it is very important to keep the u..
BROYT X42TF Excavator Undercarriage delivers outstanding performance in any excavator application. W..
BROYT X42WF Excavator Undercarriage excels in all applications and all conditions: standard or heavy..
BROYT X43MED Excavator Undercarriage must be extremely durable and it is very important to keep the ..
BROYT X43TED Excavator Undercarriage delivers outstanding performance in any excavator application. ..
BROYT X43WED Excavator Undercarriage excels in all applications and all conditions: standard or heav..
BROYT X52 Excavator Undercarriage must be extremely durable and it is very important to keep the und..
BROYT X52MF Excavator Undercarriage delivers outstanding performance in any excavator application. 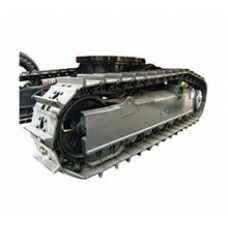 W..
BROYT X52TF Excavator Undercarriage excels in all applications and all conditions: standard or heavy..
BROYT X52WF Excavator Undercarriage must be extremely durable and it is very important to keep the u..